La Soñador ~: Is TODAY Yashua Jesus' Birthday?? While many celebrate Jesus' birth on December 25th, this is historically the birthday of Mithra, the Sun God and is celebrated by christians, pagans, atheists and non believers around the world today. 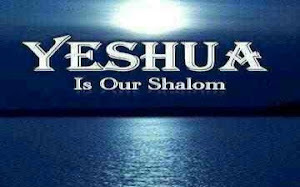 Those who have been studying and celebrating the biblical feasts believe that YHWH's calendar reveals the true dates of past and future events. I have shared some of the arguments pointing to His birth taking place on Sukkot, the Feast of Tabernacles, an eight day festival. Some of which are that "God Tabernacled With Us," on the eighth day after his birth he was circumcised, born in a lowly temporary booth like animal structure. If He was born on the Feast of Sukkot, this would also mean that the Angel Gabriel and the Holy Spirit visited Mary the previous year during Hanukkah, the Festival of Dedication, to tell her of her pregnancy, and to conceive in her belly the blessed child. I feel that many of these arguments have merit and add to the biblical feast days. Here is another theory, placed forth by Jonathan Cahn, a Messianic Jewish preacher. I have shared another post regarding his speech at the last presidential inauguration that I felt was very compelling. He puts forth that Jesus may have been born on biblical New Year, which is the first new moon after the barley turns green in the springtime. This year.... that is tonight.